For many, the January crash of 2018 was both shocking and devastating. Out of FOMO, many people began to invest in December, seeing as crypto prices began to sky-rocket. After many ATH’s in December, such as Bitcoin’s climb to over $20k, the market quickly began to correct. On January 17th, 2018, Bitcoin hit a low of $9k, and almost every other crypto dropped by 20% or more. The new-comers felt this crash more than those that had been in the game for a couple years. Many became discouraged and began to panic-sell, believing that the prices of their cryptocurrencies would plummet even further. Yet, the veterans of the crypto world remained calm and many experienced traders predicted this crash. Why? Well mainly through experience. The past four years of crypto trading have begun with an almost identical crash in January, followed by a year of incredible growth. If you zoom in to what January 2017 looked like, you can see there was a pretty drastic crash, but once you zoom out you can see that the dip was dwarfed by the growth that followed for the year. You must be mindful though, because markets do change and no one in the world can predict exactly what the market will do. During times like these we encourage that you stay calm. First, don’t invest more than you can afford to lose, it’s simply not worth the risk. Second, research the cryptocurrency market history and be mindful of the possible outcomes after a huge rise in price. 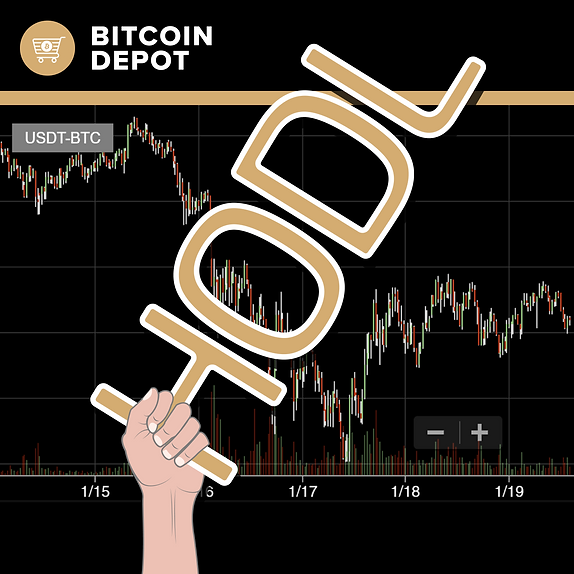 Finally, we encourage you to not check the price daily, don’t panic sell, and instead HODL. It may seem hard to do at times but in the end, you’ll realize that it was worth after all.